AirPura Filters for All AirPura Filter Replacement needs. AirPura HEPA filters, Super HEPA filters, Carbon Filters, Pre Filters. AirPura filters Ship Free in Continental USA and Canada. AirPura Filters There are 56 products. AirPura R600 HEPA filter, Carbon filter, Pre filter Replacements. AirPura R600 filters Ship Free Fast in US and Canada. AirPura H600 HEPA filters, Carbon filters, Pre filter Replacements. AirPura H600 Filters Ship Fast and Free in US and Canada. AirPura C600 Carbon filters, HEPA Barrier filters, Pre filter Replacements. AirPura C600 filters Ship Fast Free in US and Canada. AirPura C600DLX Carbon filters, HEPA Barrier filters, Pre filter Replacements. AirPura C600DLX filters Ship Fast Free in US and Canada. AirPura F600 HEPA filters, Carbon filters, Pre filter Replacements. AirPura F600 filters Ship Free in US and Canada. AirPura F600DLX Carbon filters, HEPA Barrier filters and Pre filter Replacements. AirPura F600DLX filters Ship Free in US and Canada. AirPura G600 HEPA filters, German Carbon filter, Pre filter Replacements. AirPura G600 filters Ship Free in US and Canada. AirPura G600DLX Carbon filter, HEPA-Barrier filter, Pre filter Replacements. AirPura G600DLX filters Ship Free in US and Canada. AirPura I600 HEPA filters, Carbon filters, Pre filter Replacements. AirPura I600 filters Ship Free in US and Canada. AirPura T600 Carbon filters, HEPA Barrier filters, Pre filter Replacements. 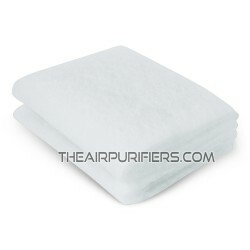 AirPura T600 filters Ship Free in US and Canada. AirPura T600DLX Carbon filters, HEPA Barrier filters, Tar Barrier Pre filter Replacements. AirPura T600DLX filters Ship Free in US and Canada. AirPura UV600 HEPA filters, Carbon filters, Pre filter Replacements. AirPura UV600 filters Ship Fast Free in US and Canada. AirPura V600 HEPA filters, Carbon filters, Pre filter Replacements. 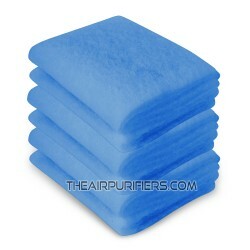 AirPura V600 filters Ship Fast Free in US and Canada. AirPura R600W Replacement HEPA filters, Carbon filters, Pre filters. 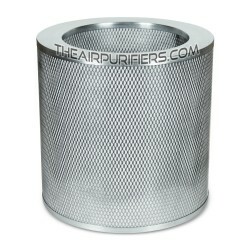 Fast Free shipping of AirPura R600W replacement filters in US and Canada. AirPura H600W Replacement HEPA filters, Carbon filters, Pre filters. Fast Free shipping of AirPura H600W replacement filters in US and Canada. AirPura C600DLXW Replacement Carbon filters, HEPA-Barrier filters, Pre filters. Fast Free shipping of AirPura C600DLXW filters in US and Canada. AirPura F600W Replacement HEPA filters, Carbon filters, Pre filters. Fast Free shipping of AirPura F600W replacement filters in US and Canada. AirPura F600DLXW (F600DLX-W) Replacement Carbon filters, HEPA Barrier filters, Pre filters. Fast Free shipping of AirPura F600DLXW replacement filters in US and Canada. AirPura I600W (I600-W) Replacement HEPA filters, Carbon weave filters, Pre filters. Fast Free shipping of AirPura I600W replacement filters in US and Canada. 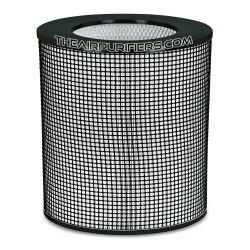 AirPura T600W (T600-W) Replacement Carbon filters, HEPA Barrier filters, Tar-trapping Pre filters. Fast Free shipping of AirPura T600W filters in US and Canada. AirPura T600DLXW (T600DLX-W) Replacement Carbon filters, HEPA barrier filters, Tar barrier pre filters. Fast Free shipping of AirPura T600DLXW replacement filters in US and Canada. AirPura P600W Replacement HEPA filters, Carbon filters, Pre filters. Fast Free shipping of AirPura P600W replacement filters in US and Canada. AirPura UV600W Replacement HEPA filters, Carbon filters, Pre filters. Fast Free shipping of AirPura UV600W replacement filters in US and Canada. AirPura V600W Replacement HEPA filters, Carbon filters, Pre filters. Fast Free shipping of AirPura V600W replacement filters in US and Canada. 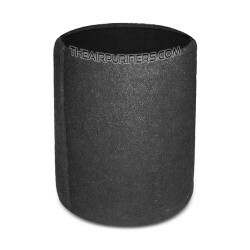 AirPura Tar-Barrier Pre-Filter is AirPura Original replacement Tar-tapping pre-filter for AirPura T600, T600DLX air purifiers. AirPura R600 HEPA Filter is AirPura Genuine replacement HEPA Filter for AirPura R600 portable air purifier. AirPura R600 Carbon Filter is AirPura original replacement carbon filter for AirPura R600 portable air purifier. AirPura F600 HEPA Filter is AirPura's original replacement True HEPA Filter for AirPura F600 portable air purifier. AirPura F600 Carbon Filter is AirPura Original formaldehyde removal carbon filter for AirPura F600 portable air purifier. AirPura H600 HEPA Filter is AirPura Original replacement HEPA Filter for AirPura H600 portable air purifier. 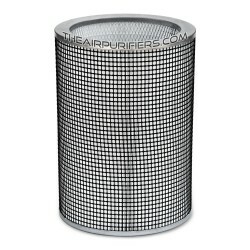 AirPura H600 HI-C Carbon Weave Filter is AirPura lightweight carbon filter for AirPura H600 Portable air purifier. AirPura I600 Standard HEPA Filter is AirPura oversize 3-inch Deep True HEPA Filter with Polymer Caps for AirPura I600 portable air purifier.